Unique in the literature of planners, architects, and urban officials, Rebuilding Cities is a compendium and analysis of the achievements of city planning from the ""Ideal City"" of Palmanova in 1593 to the innovative achievements of planners and designers of the twentieth century. As such, it is vital reading for anyone concerned with the problem of rebuilding and revitalizing cities after disasters--either of a human or physical decimation. 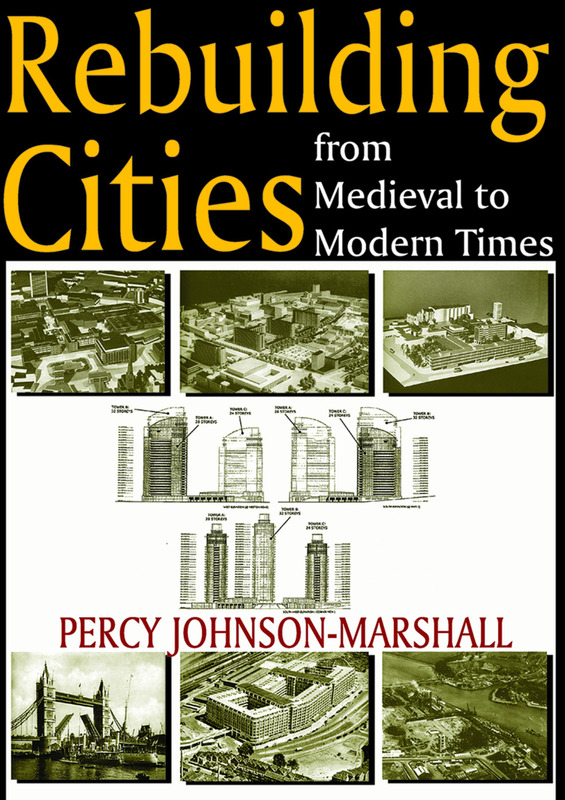 Rebuilding Cities covers and includes medieval nuclei to urban sprawl; physical, economic, and social factors in planning; and the changing nature of components of cities incorporating elements from different periods in a single visual scheme. Also included are analysis of planning schemes from Indian and Greek visionaries; legislative and administrative changes needed for successful planning; the massive redevelopment that happened in London after World War Two; renewal schemes; and urban design and work throughout the world. The remarkable clarity and thoroughness of the book and its abundant illustrations clearly demonstrate the successes and failures of planning schemes and lays a solid groundwork for intelligent assessment of the goals and practical possibilities of city planning. Teachers and students of planning and architecture, professionals actively engaged in the field, and all who visualize a truly civilized urban environment will find this book immensely helpful and satisfying.